You may not know this, but my Big Fabric stamp was created from a photograph of a wonderful piece of vintage fabric with handmade lace along the edge. 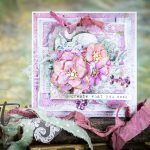 I wanted to find a way to add some added texture to the stamped image for a background, so I turned to embossing powder. I created a tag, but you could easily adapt the technique to a card design or small canvas. Place the Big Fabric stamp face up on a craft sheet. Ink the stamp with a clear embossing ink. Place your tag (or cardstock piece) face down onto the inked stamp. Run your hand over the back of the tag to help transfer the stamped image. The stamped image will be very faint on the light colored cardstock since the ink is clear. 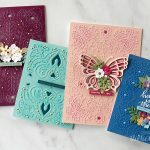 Don’t worry about the image being a perfect impression, the stamp design is very imperfect which makes it very forgiving of stampings “oopses”. Sprinkle white embossing powder over the wet ink. Tap off the excess. For fine details, I recommend Ranger’s Super Fine Detail embossing powder. 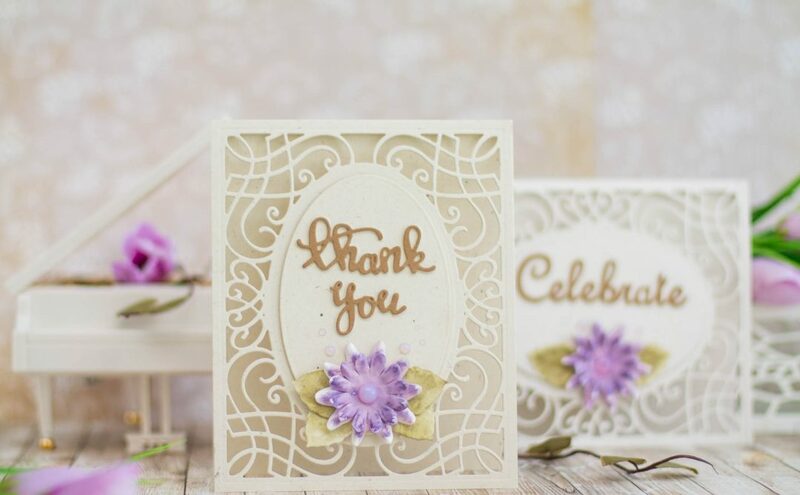 Melt the embossing powder with a heat tool. 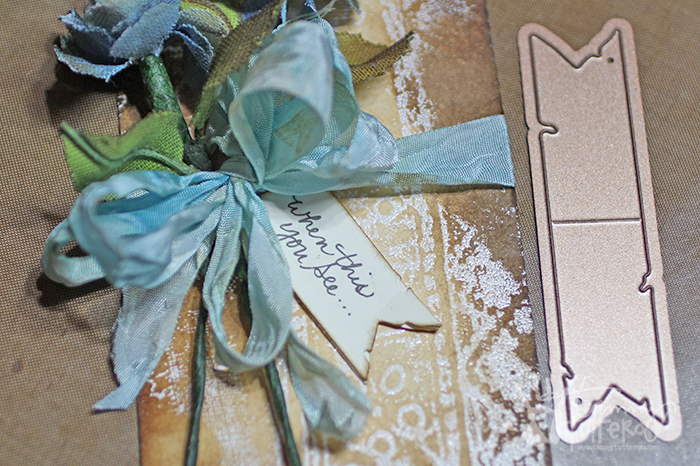 Mist the tag with Antique Linen Distress Spray Stain to create an aged tea dye-like background. Allow the spray ink to set for a few moments. Blot the ink from the tag using a dry cloth. Select a few places on the tag to add a few more puddles of spray ink. Allow the ink to set for several moments to soak in. This will create places with deeper color, just like you would see on vintage stained fabric. Use an ink blending tool to apply Antique Linen Distress Ink randomly to the tag. This layer of ink will add another layer to the depth of color. Use an ink blending tool to apply a darker brown Distress Ink (I used Gathered Twigs) around the outer edges of the tag. The darker ink will settle into the cracks in the embossing powder and really make the fine details jump out. Use a baby wipe to blot over the dark ink to create water spots to the ink. Buff over the embossing powder with a dry cloth to remove any ink from the surface of the embossing powder. Wrap the tag with the ribbon and tie in a bow. Need help tying bows? I have a tutorial that can help! Check it out here: Fluffy Bow Tutorial. Slip the two flowers under the bow. 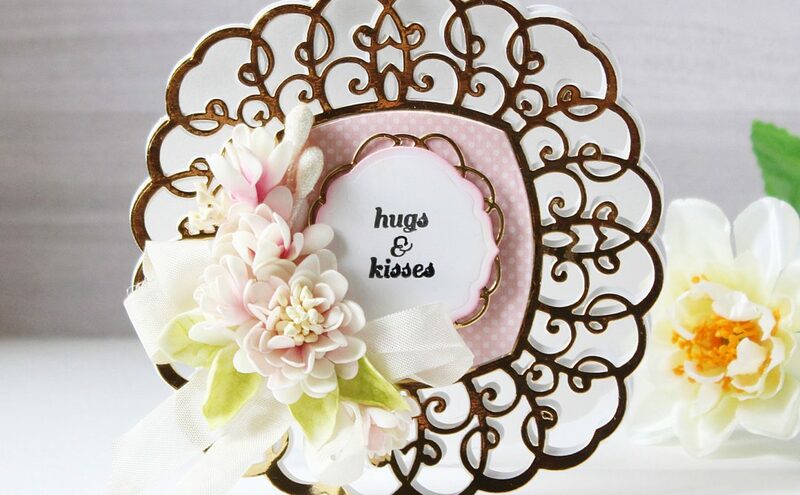 Add a dollop of strong glue under the flowers and bow to help keep it all in place. Die cut a frayed tab from cardstock. Brush the edges with a brown Distress Ink. Add a handwritten sentiment. Fold the tab in half along the score line. Add a drop of glue to the inside to hold the tab closed. Adhere the tab to the tag, slipping it under the edge of the ribbon. Machines: Platinum, Platinum 6, or Prizm. I just love this tag! 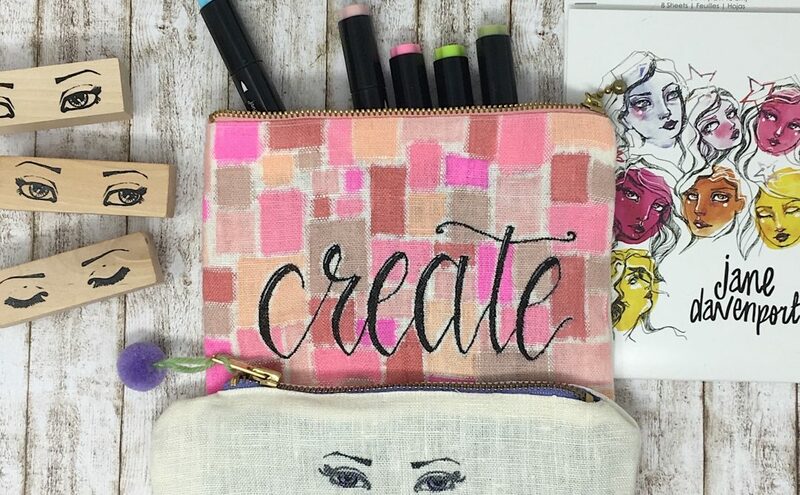 That background stamp is one I need to add to my stash! 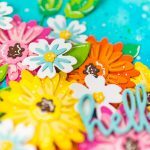 Your flowers are beautiful and I’ve been doing some with the Tattered Floral die. As always… you are incredible! !